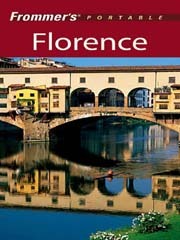 Travel Resources | Travel to Florence.com, your online travel guide. 1) Transparent Language - While it is not necessary to be fluent in Italian to get around in Italy, it is beneficial (and polite) to know the basic words and phrases. Most Italians in Florence, or any major city in Italy, speak enough English to get by but they are proud of their language and appreciate when visitors take the time to learn a little. Transparent Language offers a nice selection of language courses from video immersion to audio courses on CD which allow you to listen in you car during the rush hour drive. Not only will their courses get you up and running in no time, their courses are about 10% the cost of Rosetta Stone and Pimsleur! Don't get me wrong, they are both excellent programs (and we own them both) but I would rather spend all that money in any of the fine Florence Restaurants or gelato at Vivoli! Click on the link below to check out all Transparent Languages Italian courses and offers. 2) Frommers GuideBooks - Although you will do most of your research online before you travel it is always a good idea to bring a good guidebook with you that has the history, recommendations and maps of the city. Frommers guidebooks have been the best guides out there for years. One of their first guides was in 1957, "Europe on $5 a Day". Let me be the first to tell you, those days are over! When buying a guide it is better to buy a guide of Italy and not just Florence, there is usually just as much information and you will get more bang for your buck if it covers your future trips. Their guides come complete with detailed maps, updated restaurant recommendations and suggested itinerary. Click on the link below to go to their site and check out their large selection of guidebooks. 3) Luggage Pros - Luggage is a large investment but if you do a little homework it will last you a long time. Good quality luggage is a lot more affordable than it used to be and the better brands offer smooth rolling wheels, light construction and garment sleeves for suits and dresses. Almost all luggage these days is made with Ballistic nylon which is incredibly durable (like a bullet proof vest for your things) and extremely light. The better brands like Travelpro and Tumi will last you years and years and come with improved interior features such as deluxe removable garment bags and toiletry organizers with wet pockets to protect your clothes. Tumi is priced a little rich for my blood but you will not find better luggage than Travelpro, period. Travelpro was invented in 1987 by a Northwest 747 pilot who was tired of lugging around heavy, poorly made luggage. 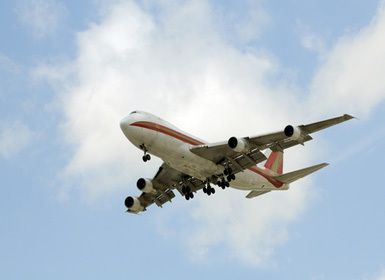 Now Travelpro is the brand of choice for over 500,000 flight crews and frequent fliers. Travelpro's construction is top quality and very reasonably priced. When you purchase through Luggage Pros you will usually get 50% off the manufactures suggested price and they offer free shipping for orders over $100 and free returns if you are not completely satisfied with your purchase! They carry a huge selection and always have closeout sales on discontinued styles. We have been using Travelpros FlightPro 4 luggage for years, the stitching and zippers are tight and all the bags still look new. One other thing to consider, if you still can't swing the discounted price for the Travelpro luggage, don't fret. Atlantic luggage is the second label of Travelpro and is a little less expensive while maintaining the same quality construction. Click on the link below for Luggage Pros to shop for both Travelpro and Atlantic (look for the seahorse on the bag), they have an awesome selection, the best pricing and fast shipping. 4) Magellans - One important place that you should visit before flying to Italy is Magellans. They carry all the accessories that you are going to need from the flight over until your last day in Italy. They have a wide assortment of items for you're in flight comfort like comfort plus pillows, ipod chargers, noise reduction headphones and even jet lag pills. It's a long flight; the more comfortable and refreshed you are will make a world of difference. An important and often overlooked aspect of planning a trip to Italy is accounting for the difference in electrical current (U.S. is 120 V, Italy is 230 V) and the shape of their power outlets. If you don't have a power converter you will either blow up your hair dryer, charger etc or short out the power. I believe Jeanne and I accidentally blew out an entire floor of our hotel in Milan with a faulty converter! Magellans has the voltage transformers for all different kinds of appliances as well as surge protectors. Click the link below to go to their site; if there is something you need for your vacation, they have it. 5) Telestial - When traveling it is important for security and convenience to be able to have phone service. Most U.S. phone companies offer service overseas for a very expensive roaming charge that adds up fast. I believe ATT charges $1.29 per minute to be able to use your phone in Italy! If you have a dual band, unlocked phone (your able to use any SIM card not just the one that came with your phone) you can buy a prepaid SIM card from Telestial that will let you have an Italian phone number and cost only .14 per minute for calls! If you don't know if your phone is unlocked, call your service provider. If your phone is not unlocked, a new law was passed a few years ago stating that the phone companies have to unlock your phone if you request it. These SIM cards are awesome. When you land in Italy all you have to do is put the prepaid SIM card in your phone, turn it on and you're ready to go. The cards come preloaded with $7 starter time and your card and number are good for one year. If you recharge the card with minutes before the year is up you keep the same number. Click the link below to check out the benefits of the prepaid SIM or their inexpensive international cell phones.